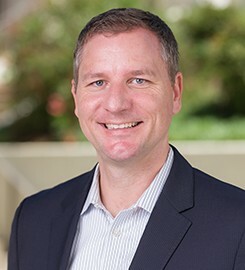 Carsten Zimmermann is an associate professor of management at the University of San Diego School of Business, where he teaches strategic management, management consulting, digitization and global innovation courses. He is interested in questions that relate to the role of resources, ambidextrous practices and capabilities in strategic management and operations management. Recently, his work has been published in the Accounting Review, the Journal of Operations Management and Nature Protocols. Building on his management consulting experience, Professor Zimmerman has helped to establish and grow dedicated executive education workshops, industry panels and tailored executive seminars. Over the past years, he has been involved in executive education for various organizations in diverse industries and across multiple business functions. Zimmerman was also a visiting associate professor at Dartmouth College (Tuck). Vazquez-Lombardi, R., Nevoltris, D., Luthra, A., Schofield, P., Zimmerman, C., Christ, D. (2017) Transient expression of human antibodies in mammalian cells, Nature Protocols. Perols, J., Bowen, B., Zimmerman, C. (2017) Finding Needles in a Haystack: Using Data Analytics to Improve Fraud Prediction, The Accounting Review, 92(2), 221-245. Kortmann, S., Gelhard, C., Zimmerman, C., Piller, F. (2014) Linking Strategic Flexibility and Operational Efficiency: The Mediating Role of Ambidextrous Operational Capabilities, Journal of Operations Management, 32(7/8), 475-490. Perols, J., Zimmerman, C., Kortmann, S. (2013) On the Relationship between Supplier Integration and Time-to-Market, Journal of Operations Management, 31(3), 153-167. Riedl, D., Kaufmann, L., Zimmerman, C., Perols, J. (2013) Reducing Uncertainty in Supplier Selection Decisions: Antecedents and Outcomes of Procedural Rationality, Journal of Operations Management, 31(1-2), 24-36. Submit changes to Carsten Zimmermann's profile.